To follow up with you on my last Friday Fitness Tip #10 regarding Statin drugs and the harmful side effects they may bring over extended use, I am weening myself off of my Crestor over the next several weeks. And I am replacing that effort to maintain my currently low LDL Cholesterol level through an adjusted diet program and a supplement called Choleslo. A WARNING to you if you should decide to do the same. As medically advised in my research, DO NOT simply STOP taking your Statins abruptly! As this can cause kidney problems, stomach problems and a shock to the system with the Insulin/sugar level balance being thrown off kilter. As I’ve said earlier and in my disclaimer, I am NOT a medical professional… just a guy trying to stay healthy and keep my healthy Voice Acting career going strong. 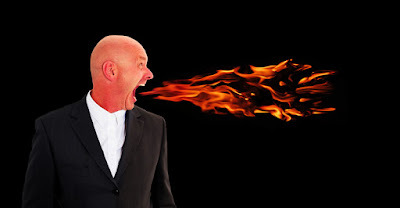 Now, having said that, there is a NEW concern out there regarding drugs (prescription or non-prescription) that you may be taking for relief of Heartburn, Acid Reflux or GERD (Gastroesophageal reflux disease). GERD being the more serious of these conditions. Which are all caused by stomach acid coming up from the stomach into the Esophagus causing pain, cramping and bloating. Popular drugs being used to control these conditions are called Proton Pump Inhibitors or PPIs. Sold under brand names such as Nexium, Prevacid, Prilosec and others. As usual, these drugs that become so popular being used in our busy culture are real money-makers for our pharmaceutical companies, So it is often difficult to get to the real truth about drug side effects. Fortunately, I’m personally not on these drugs but have taken the over-the-counter type for short periods of time in the past. Or the lesser effective, but safer, H2 blockers like Tagamet, Pepcid and Zantac. If you are a chronic consumer of PPIs, see your doctor or nutritionist for advice on alternative medicine. such as licorice, slippery elm, chamomile and others. Maintain a healthy body weight. Avoid foods you know cause you heartburn. ( Yeah… now THERE’S a great idea!) … fatty, fried foods, tomato sauce, garlic, onions, etc. Don’t lie down after a meal… take a walk! Don’t smoke! So much of what we eat can help us without the use of drugs OR hurt us without realizing it for a while. Everything we eat has an affect on our body’s. When it comes right down to it… it’s really an individual study! What works best for YOU!? It can take quite a while to determine what foods you have a sensitivity to but that may be the best way to create a drug-free life and more natural way of living. But HEY… I’m getting into another area completely! One that I’m learning more about and should write about at a different time. So be careful out there! Until next time... with a new Friday Fitness Tip! I faithfully take probiotics, which is another way to avoid heartburn (in addition to avoiding junk food). Fortunately, as a result, I seldom ever have heartburn. Thanks for these,Rick. Your posts are very helpful. Thanks for your input, Kevin! Guess I should have mentioned probiotics as a possible treatment for acid reflux or heartburn. Although, there doesn't seem to be much info out there on a direct positive result. But, hey, if they work for you great. Chances are you're treating your stomach well by balancing the good and bad digestive bacteria before heartburn can set in. This is why Yogurt has become so popular... taming down stomach gas, diarrhea, bloating, IB and other digestive problems. The only warning I could find was that people with compromised immune systems should be careful with probiotics. Maybe I'll do an article on probs!